If you're thinking about a career in civil engineering, or want to find out more about the profession, ICE can help. ICE members in London volunteer as engineering ambassadors. They visit schools to help young people understand what engineering is, how it shapes our world, and how they can pursue a career in civil engineering. 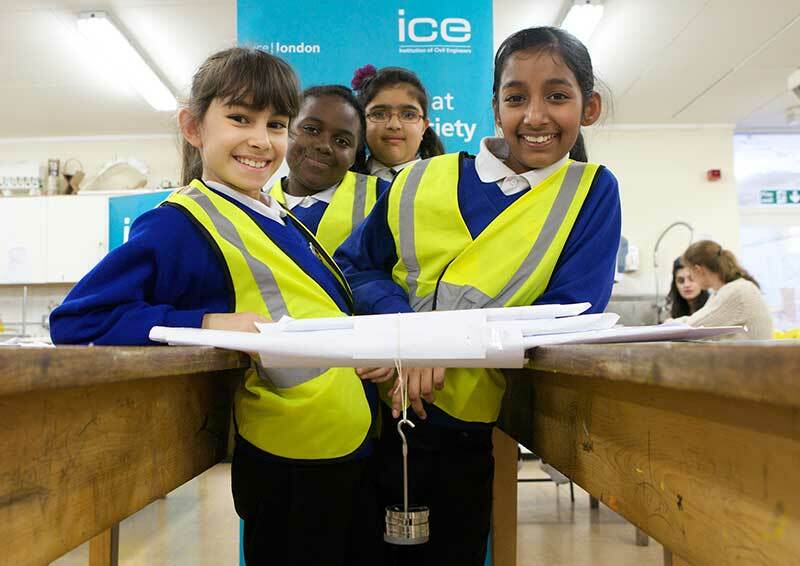 ICE London also provides resources and support for teachers, and people looking to promote civil engineering and inspire the next generation of civil engineers. Looking for inspiring resources to use in school? We have a range of multimedia resources for teachers, careers advisers, parents, and volunteer ICE ambassadors. So if you want an activity for a class or club – something hands-on, that's tried and tested – you'll find it here. We also have PowerPoint presentations, videos, careers information and useful links to lots more. Find out more about how we've been working with organisations across London to promote civil engineering to young people. 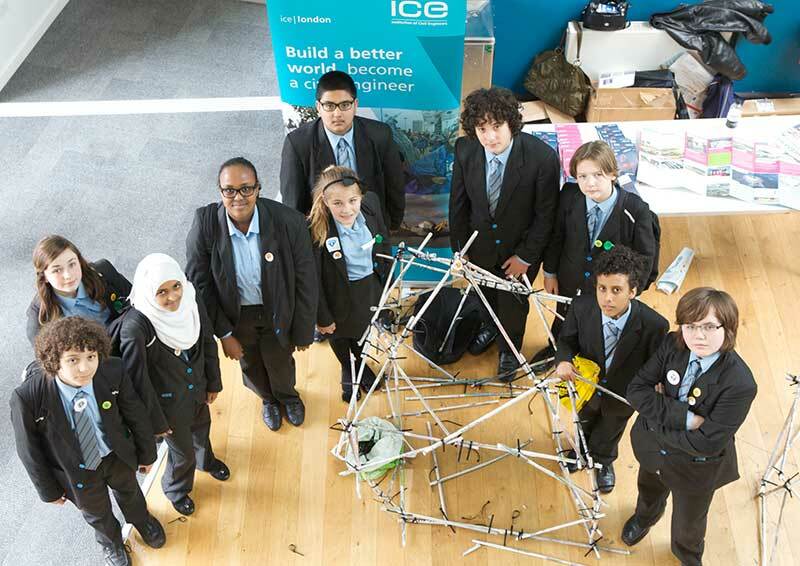 ICE London attends STEM careers events and engages with more than 10,000 school children a year. Two such events include Big Bang and Teen Tech. ICE London is always looking for more ambassadors, and to visit new schools. If you'd like to become an ambassador, or need help organising an engineering event at your school, then please get in touch with: [email protected]. If you think you could help inspire the next generation of engineers, then we want to hear from you! We're always on the look out for new Ambassadors to visit schools and help enthuse children across the region. If you're interested we want to hear from you. At 25 kilometres long, up to 65 metres deep, and more than seven metres in diameter, the Tideway Tunnel will be the biggest infrastructure project ever undertaken by the UK water industry. It will generally follow the route of the River Thames to enable it to connect to the combined sewer overflows (CSOs) that are located along the riverbanks, passing underneath all other infrastructure in London and through a variety of different ground conditions. Innovative engineering in the design phase has already reduced the tunnel from the initial 32 kilometres proposed, down to 25 kilometres, and reduced the number of construction sites needed from 45 to 24. Built in the 1930s, and designed by one of Britain's best 20th century architects, Battersea Power Station is one of London's most loved and recognisable landmarks. The building has inspired a new vision. In and around the Power Station, the foundations are being laid for a new community. £8 billion of investment is creating a thriving, diverse neighbourhood. It will be a place where homes, workspaces, shops, restaurants, cafés and cultural venues combine with 18 acres of new public space. All to be served by a new London Underground station, connecting the development with the rest of the city. This vast site, covering 42 acres of former industrial land, is part of an even more wide-ranging project. Battersea Power Station is the flagship development of the Nine Elms regeneration: a combination of 20 separate projects covering 560 acres. Crossrail is one of the most significant and challenging infrastructure projects ever undertaken in the UK. It aims to change the way people travel around London, by improving journey times across the capital, easing congestion and offering better connections. The project uses innovative methods and cutting-edge technology to pioneer techniques in civil engineering and construction. There will be 40 Crossrail stations - including 10 new ones - and the route will run over 100km of railway. It will connect the Great Eastern and Great Western railways for the first time, via 42km of twin-bored tunnels, from Shenfield and Abbey Wood in the east, to Maidenhead and Heathrow in the west. Many of Crossrail's tunnels and stations will be constructed under some of the capital's most iconic buildings and districts. This involves working at depths of up to 40m, around existing tube lines, sewers and utilities, through a range of geological conditions, and in close proximity to London's communities. Find out more about Crossrail. 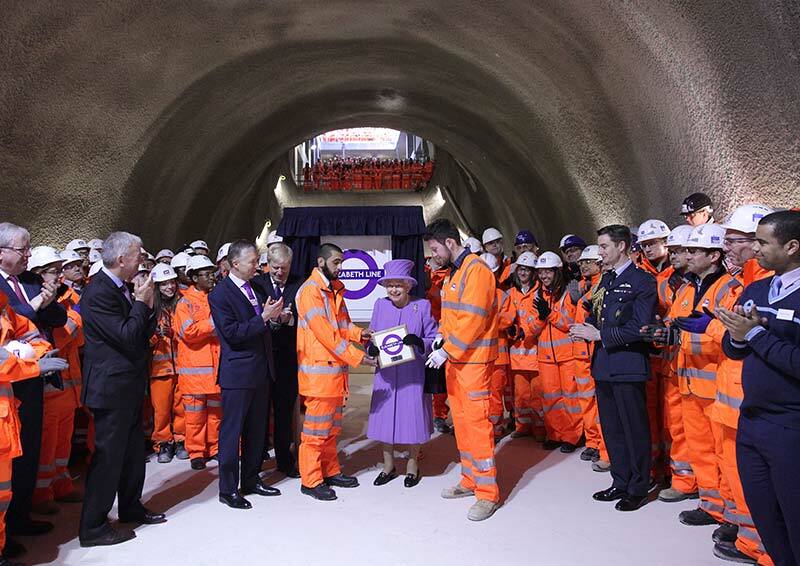 The renaming of Crossrail to the Elizabeth Line. To help promote civil engineering achievements close to you and across the UK, we're running a campaign called This is Civil Engineering. We're highlighting projects across the London that are helping to improve lives and improve our environment. What do you need to do to become a civil engineer? If you're interested in a university or college course in civil engineering, it's important to make sure that the course you choose is 'accredited'. This means that it meets the Engineering Council's quality and curriculum standards. Having accredited academic qualifications will make it easier for you to become professionally qualified as a chartered engineer (CEng), incorporated engineer (IEng), or engineering technician (EngTech). Use our course search to find accredited courses throughout the UK. If you're already studying for a qualification, then you could be eligible for our FREE student membership. Becoming a member of ICE offers you a wealth of benefits, from access to free resources like our Ask Brunel service (get an answer to any civil engineering question! ), to a free subscription to New Civil Engineer (NCE) magazine. Looking to develop yourself further? We provide a range of Professional Development courses to help you develop further.